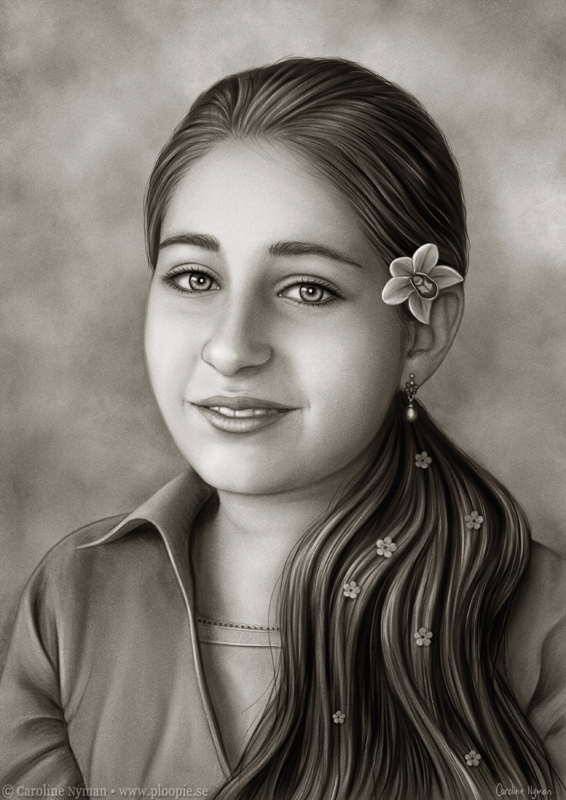 This is a portrait commission of Angelica a daughter of an online friend. And I use a filter that makes it look abit like a traditional drawing. I personally think this is my best semi-realistic drawing portrait so far. What do you think? I'm open for constructive criticism, anything to help me improve.